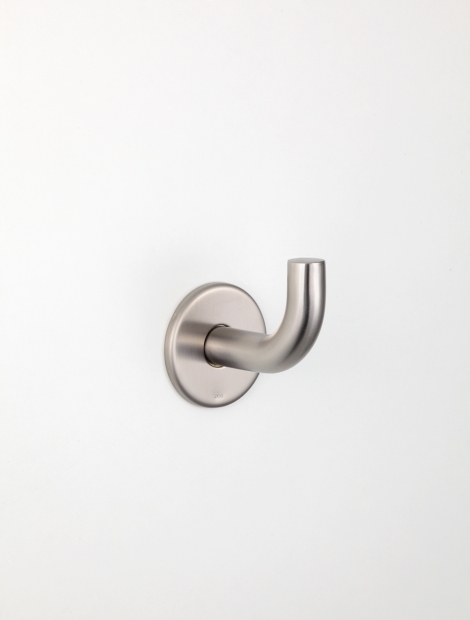 Coat hook in stainless steel AISI 316L. Dimension: depth 71 mm, rose diameter 50 mm, pad diameter 16 mm. Standard satin finish.